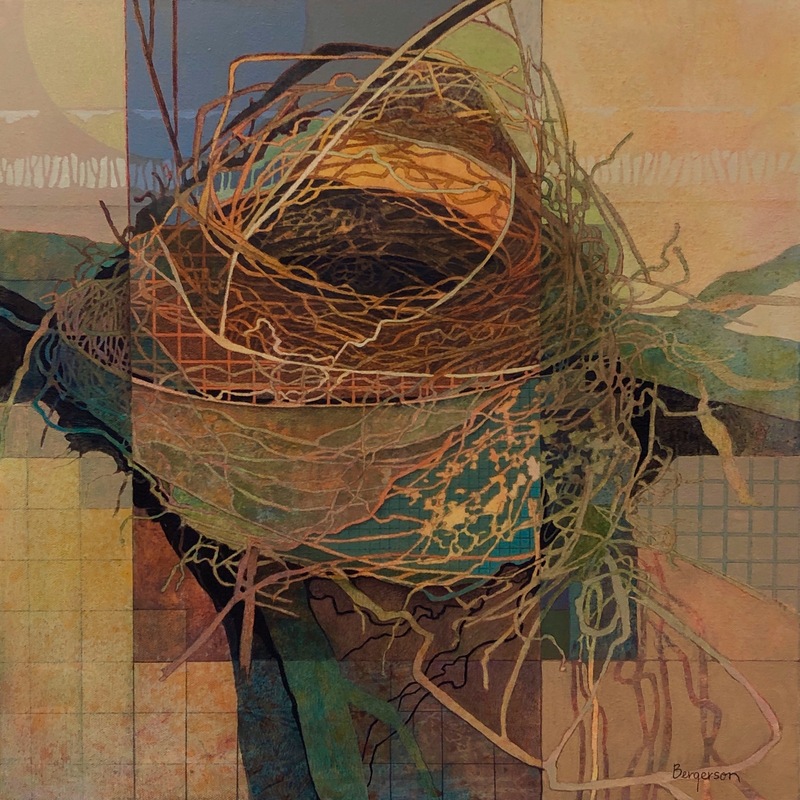 This entry was posted on Thursday, April 11th, 2019 at 4:11 pm	and tagged with acrylic-colored pencil, Grids, Nests and posted in acrylic and colored pencil, Grid Series, Nests. You can follow any responses to this entry through the RSS 2.0 feed. This one feels very textural to me, with the nest being a very strong focal point. All of the pieces of the nest hanging down add to the texture.